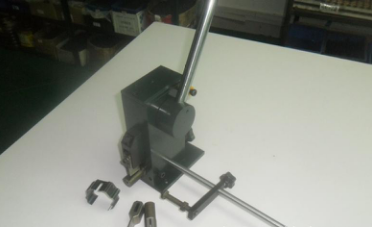 How can we make the machete machine such as steel bending machine work for you honestly? In fact, as long as you pay more attention to the use of the automatic steel bending machine, you can easily bring immediate results. Cleaning and maintenance of the screw and guide rails, regularly dusting and buttering, once in 3-6 months of the steel bending machine. Operation method: Open the front cover of the automatic steel bending machine, wipe and clean the inside with anti-rust lubricant, and apply grease (butter) to the guide rail and screw respectively with the grease gun and brush of the steel bending machine. Second, the maintenance of the curved cutter head of the steel bending machine. Add No. 68 lubricant to the top end of the cutter head housing, usually once every 2-3 days, depending on the workload of the steel bending machine. Third, the maintenance of punching abrasives. It is usually carried out once every 2-3 days, depending on the workload, mainly for the main part. Fourth, the maintenance of the edging. Use tools to regularly clean the iron filings in the edging. (It is recommended to use a vacuum cleaner to connect a thin tube to remove the iron filings. Do not use an air gun to blow inward.) Generally, it should be carried out once every 3-5 days, depending on the actual workload. < What are the advantages of the steel bending machine?